Home > News > News > Rockin’ Concert Addition – Meat Loaf! Rockin’ Concert Addition – Meat Loaf! 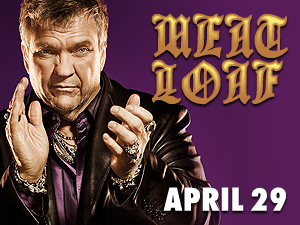 Rock legend Meat Loaf is bringing his Hang Cool Tour to AMT – Friday, April 29 at 8:00 p.m.! This Grammy winning artist will rock the AMT stage with classics including “Two Out Of Three Ain’t Bad” and “Paradise By The Dashboard Light” as well as hits from his new album. Click here to purchase tickets now before they’re all gone!